Jesus was preparing for what would be the week leading up to His crucifixion. In the cycle of Jewish festivals, Passover Week was getting underway. 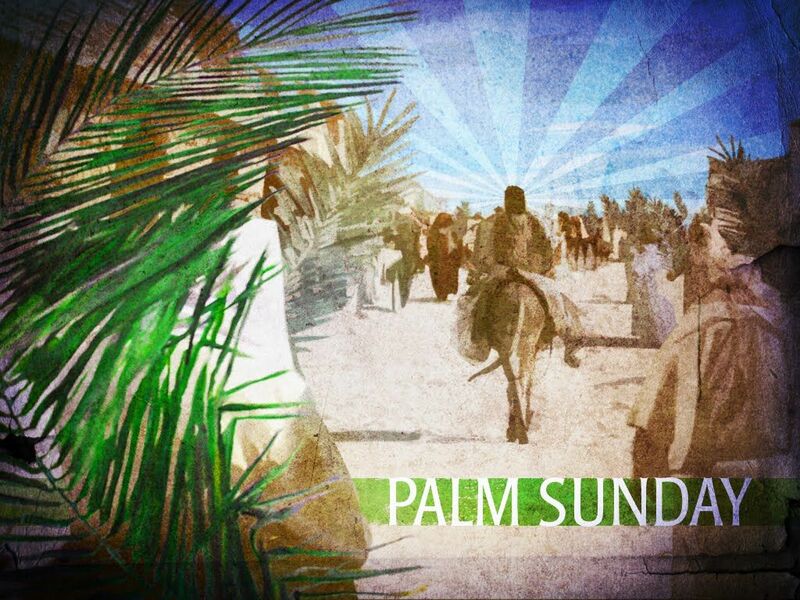 The day in which Jesus rode into Jerusalem on a Donkey was the day the Passover lambs were officially chosen by each Jewish family to begin preparation for what would be their slaughter by Thursday night of that week. This particular day was part of the original liturgy of the first Passover week instituted by Yahweh to the people through Moses in Exodus 12:3-6 - "Speak to all the congregation of Israel, saying, ‘On the tenth of this month they are each one to take a lamb for themselves, according to their fathers’ households, a lamb for each household. 4 Now if the household is too small for a lamb, then he and his neighbor nearest to his house are to take one according to the number of persons in them; according to what each man should eat, you are to divide the lamb.5 Your lamb shall be an unblemished male a year old; you may take it from the sheep or from the goats. 6 You shall keep it until the fourteenth day of the same month, then the whole assembly of the congregation of Israel is to kill it at twilight." Matthew records that when Jesus rode into Jerusalem, that his efforts were not just some random activity. The purpose for Jesus' riding into Jerusalem was to fulfill prophecy. Zechariah 9:9, composed by Divine inspiration some 520 years prior to this event, is quoted by Matthew in Matthew 21:4-5 - "This took place to fulfill what was spoken through the prophet: 5 'Say to the daughter of Zion, ‘Behold your King is coming to you, Gentle, and mounted on a donkey, Even on a colt, the foal of a beast of burden.’” Everything that Jesus did was not random nor accidental - but intentional. He was yielding Himself to His Father's will as He made His way to Calvary. Just as those lambs were formally prepared, they were also presented. When Jesus came riding into Jerusalem on a Donkey, He was presenting Himself as Israel's King. Many people in that scene were asking questions regarding Jesus' identity. One of the aims of Jesus' actions was to send a message to the Jewish leadership and to the people of Israel - "here is your King!". According to passages like Isaiah 53, He would be not only be the Lamb of God, but also a rejected Savior. This idea once again reminds us that when Jesus had rode through on that first "Palm Sunday", He was fulfilling prophecy. The people who were crying "Hosanna" would within a week's time shout "crucify Him." Matthew 21:10-11 records - "When He had entered Jerusalem, all the city was stirred, saying, “Who is this?” 11 And the crowds were saying, “This is the prophet Jesus, from Nazareth in Galilee.” Once Jesus had rode into Jerusalem, it was His way of officially concluding the public ministry phase of His first coming and entering into what many theologians call His "passion" (from a Latin root passio meaning "suffering"). Luke's version includes the following detail of Jesus weeping over Jerusalem following His triumphal entry in Luke 19:41-43 "When He approached Jerusalem, He saw the city and wept over it,42 saying, “If you had known in this day, even you, the things which make for peace! But now they have been hidden from your eyes. 43 For the days will come upon you when your enemies will throw up a barricade against you, and surround you and hem you in on every side,44 and they will level you to the ground and your children within you, and they will not leave in you one stone upon another, because you did not recognize the time of your visitation.” These chilling and heart breaking laments are recorded by Matthew in Matthew 23:37-39. Jesus' weeping was due to His foresight into what would be the destruction of Jerusalem in 70 A.D. Readers can consult historic works such as Flavius Josephus (a first century Jewish Historian), who records the horrendous details of that sequence of events that were fulfilled as Jesus had predicted. Jesus' emotional anguish over the people rejecting God's plans and purposes through Him would get deeper by the end of the week. The emotional anguish would turn into physical agony on the cross and spiritual agony that He would endure in His humanity while at the same time experiencing the anguish of the pains of sin-bearing as the Divine Son. As the God/man, Jesus would passionately face crucifixion. Praise be to God though, the true triumph of the pending "holy week" would not lie ultimately in His riding into Jerusalem, but rather in His death on the the cross and triumphal resurrection three days later outside the Holy City!